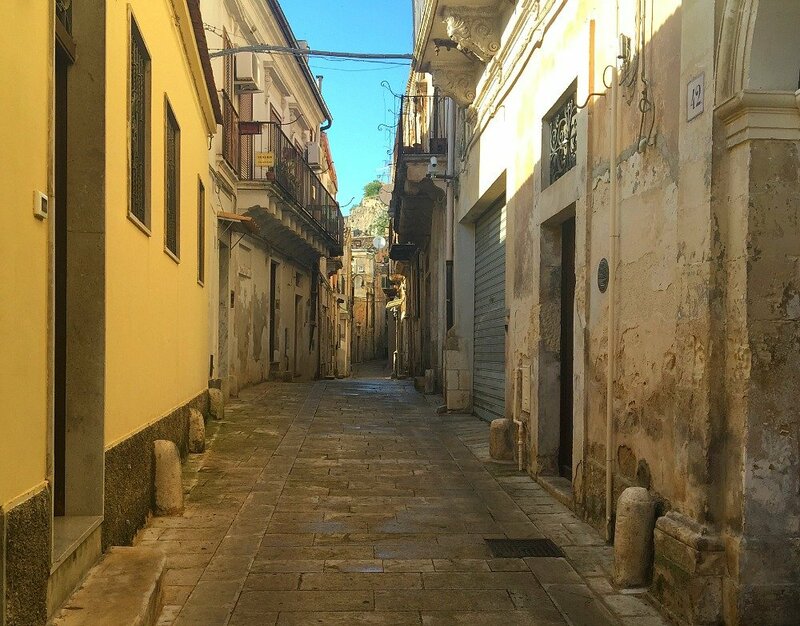 The aim of Southern Sicily Unplugged is to reveal the streets as they really are. 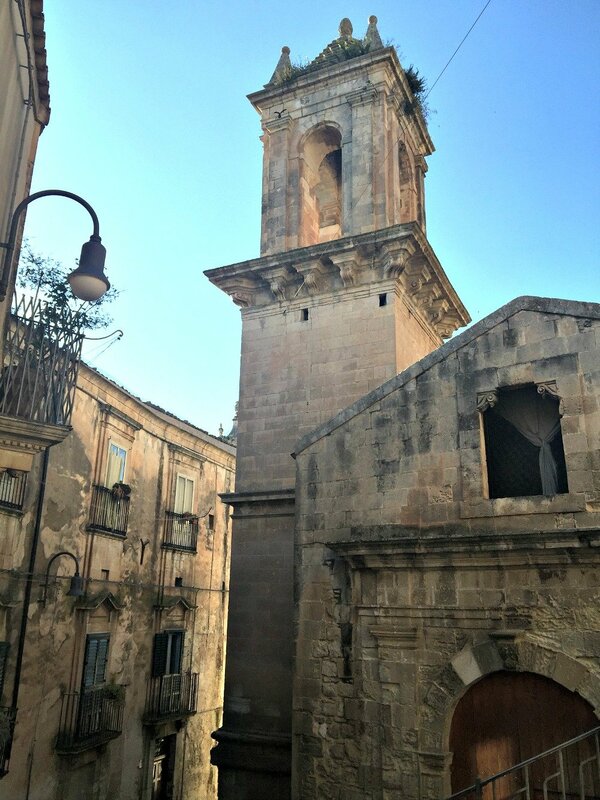 Some shots were taken from the car whilst moving from A to B, while others are from our walks on the streets of Modica, our home base in this Baroque corner of Sicily. 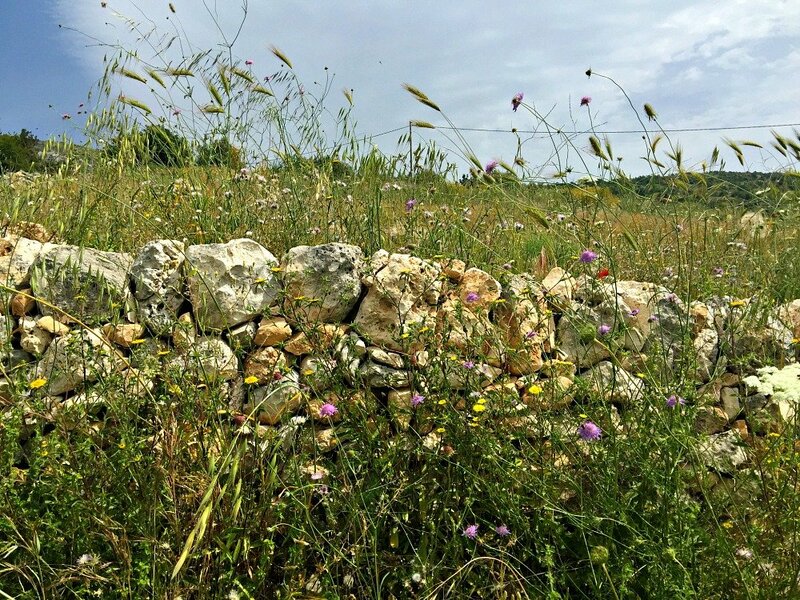 I hope they impart a feeling for the unpredictable and wild nature of Sicily that we loved so much. 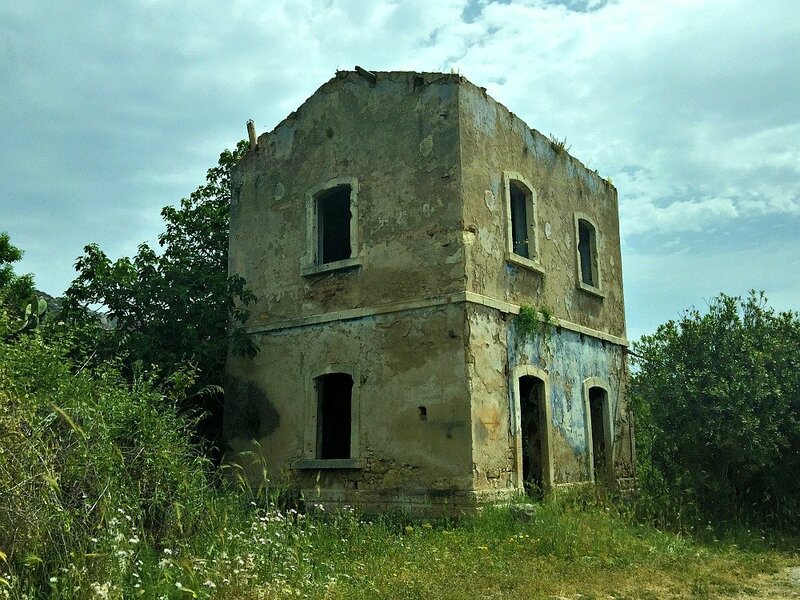 On the road from Siracusa to Sortina. 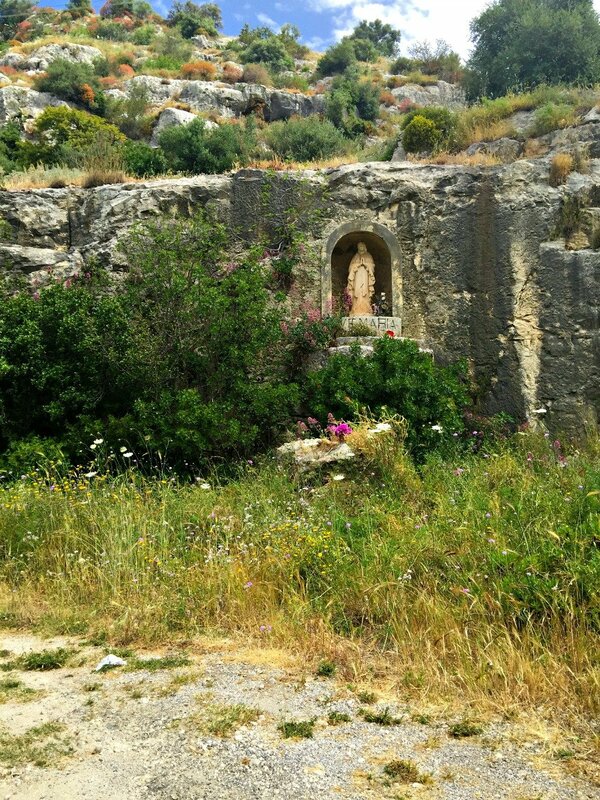 Roadside Shrine climbing the hill to Sortina. With our GPS set to find the shortest route we ventured along local Sortina shortcuts. Hay was being baled all around us on the road from Modica to the seaside town of Scoglitti. 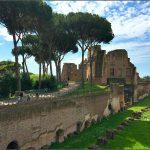 In an attempt to approach San Giorgio Church while avoiding the 164 steps at the church front, I led Marty on a shambolic walk up and down cobblestoned streets and across a few different hills. One of my favourite ways to find real streets! Here are some of the sights from that walk. 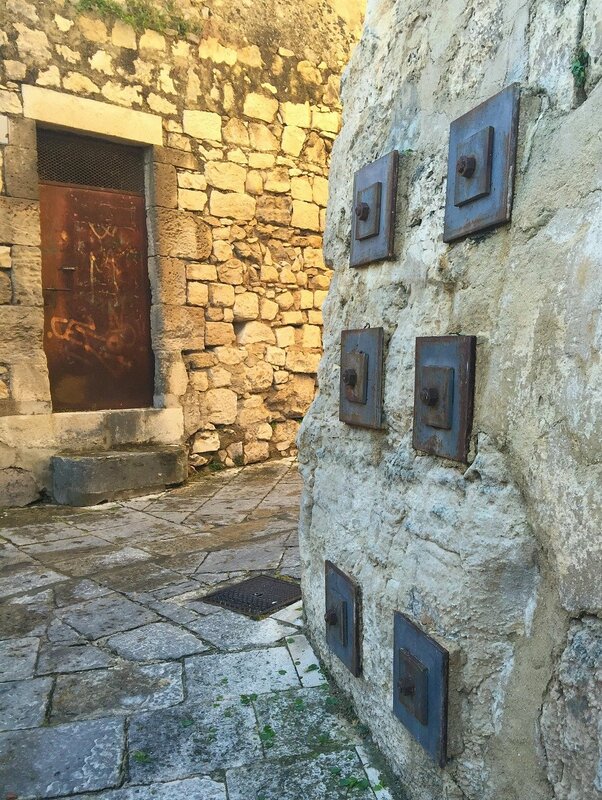 Some serious bolt work we encountered along the way. What goes up must come down. Notice the white markings to distinguish the steps. We came across some grand buildings too. 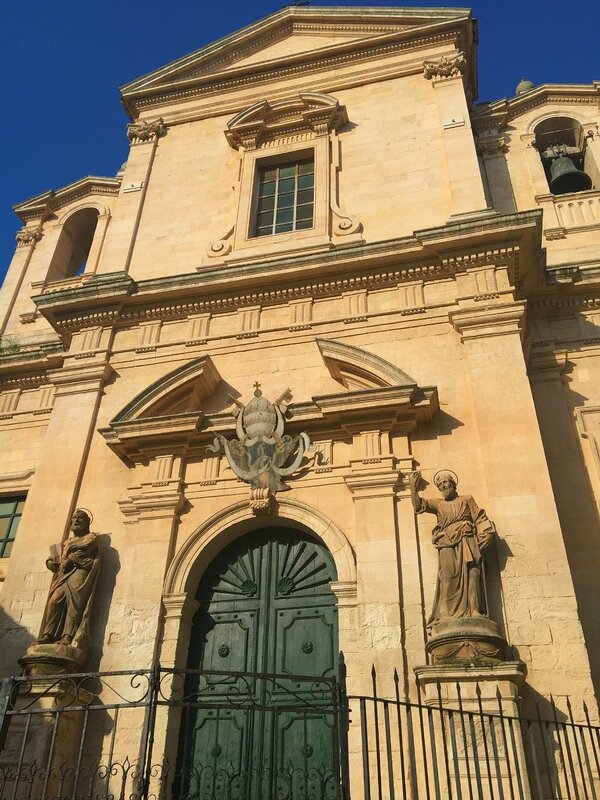 The grandest of them all being San Giorgio Church. Yes I cunningly avoided those steps, which continued on down the hill for quite a way. 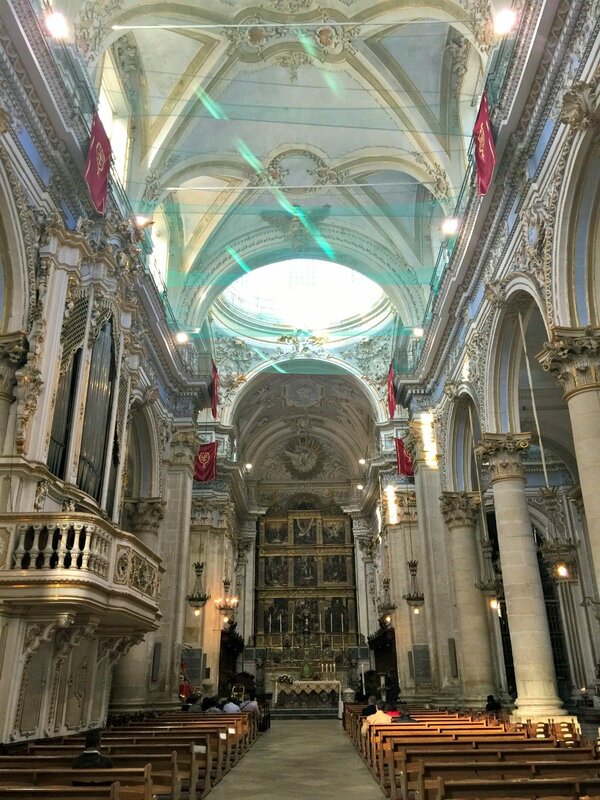 The inside of the church was strung with netting to stop the ceiling dropping onto worshippers – a common sight in Sicily. Sun setting on San Giorgio hill. Looking from San Giorgio to the lower town. 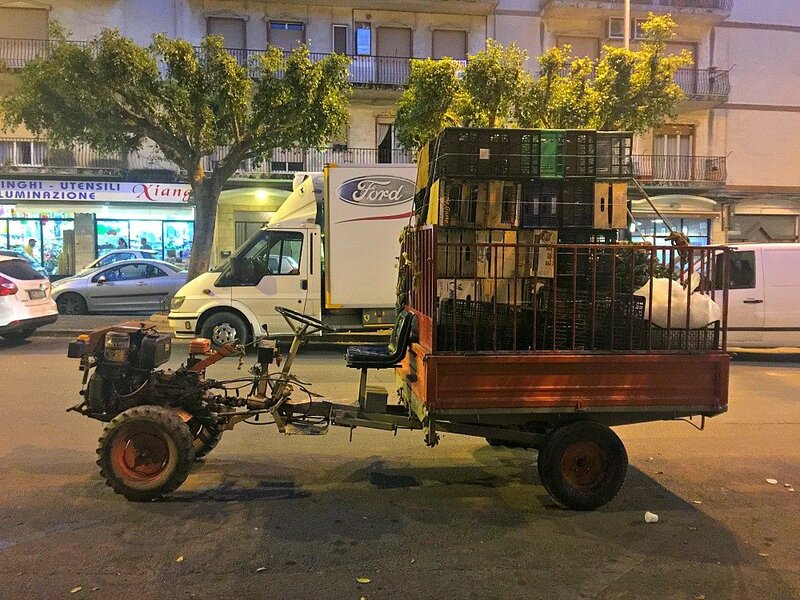 Ingenious Vehicle on the streets of Modica. I love the eclectic sights we collect on these rambling walks of ours. 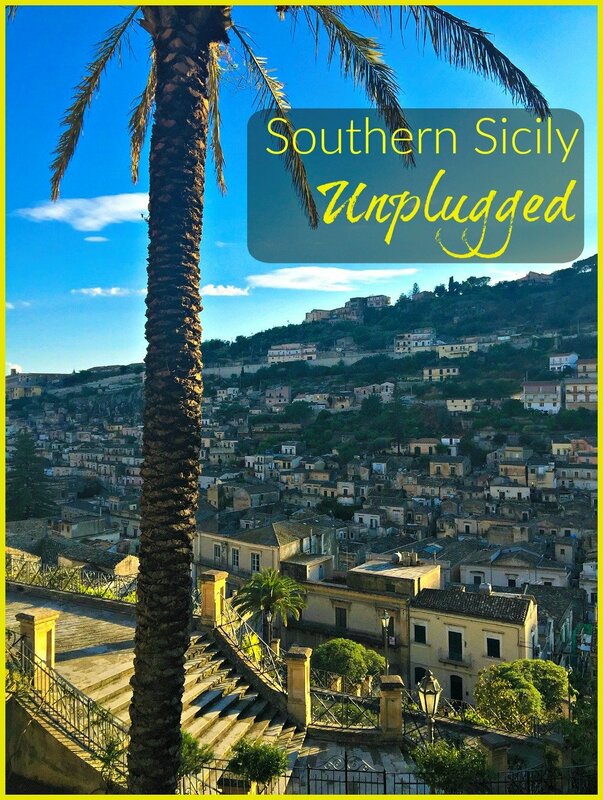 Do you like getting unplugged when you travel? from paddock to city, I loved every step of your tour and makes me hanker for Sicily straight away! This looks like my sort of tourist stop. You would have fun taking photographs Jill! There are so many things I love about these photos. That GPS shortcut thru the dirt roads reminds me of some of my adventures. After all, the GPS has no idea what type of car you are driving. Trying to avoid the stairs was a good way to see the city. I liked that you didn’t know what you were going to find after each turn. All the things you commented about were fun and exciting Ruth. 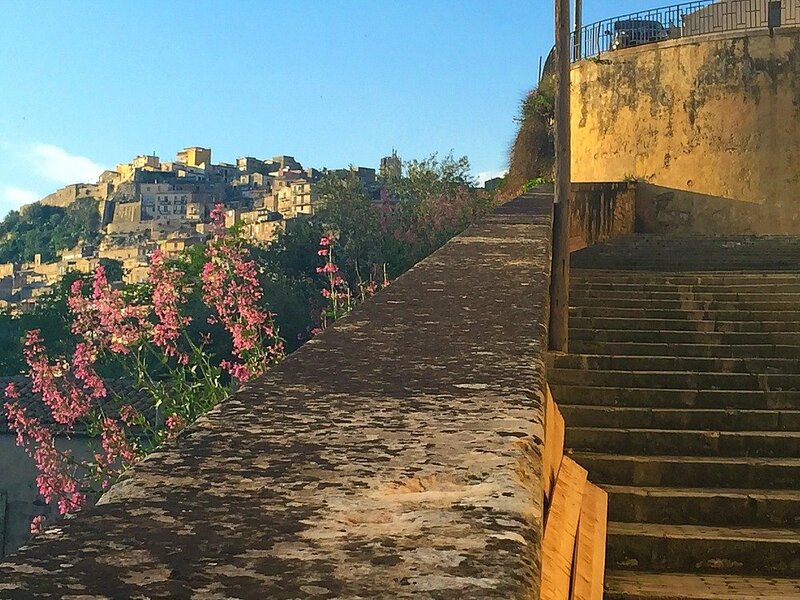 It was much more fun finding our way through the alleys and hills in Modica instead of climbing straight up the steps! 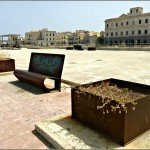 Most of these pictures make southern Sicily look like a ghost town. Aren’t there any people around? Not many around out of tourist season. Beautiful photos Jan. Really invoke the mood of the place … that light too, so different to Aus. 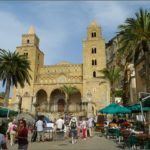 I haven’t been to Sicily – it looks like a wonderful place to wander! 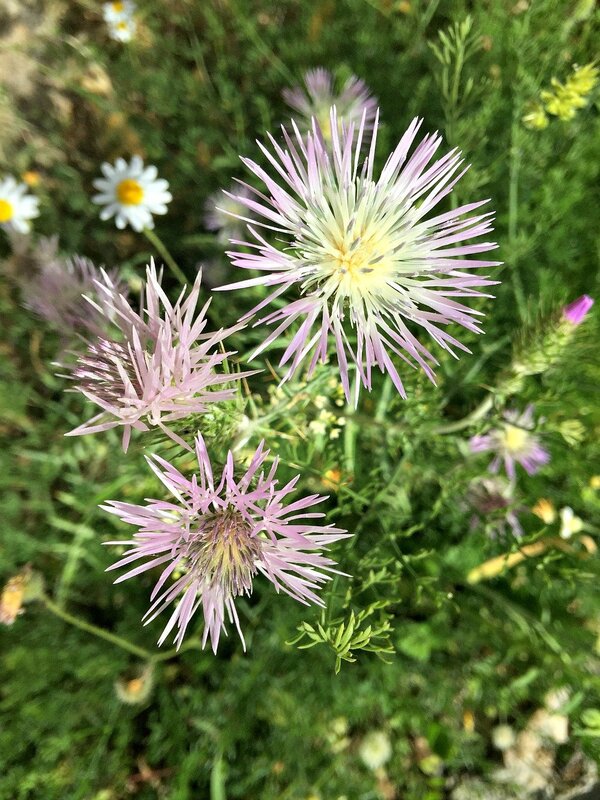 So, so gorgeous – I too love that wild beauty, the flowers, the stones, the craggy ground. Beautiful. Your pictures are warm and welcoming. Thanks so much for the inspiration. Yes, yes, yes!! 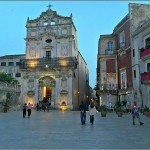 You have convinced me to see Sicily! Gorgeous photos Jan. I do enjoy getting off the main road and away from the touristy areas with my camera. Getting unplugged is one of the joys of travel. I love the title of this post. The photos are amazing! 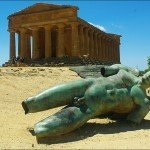 I hope to get to Sicily this summer. I know it will be hot, but I do not care. I look at your post and I know it will be amazing. You’re right you will love it. At least you will get to swim in the ocean – it was too cold when we were there. 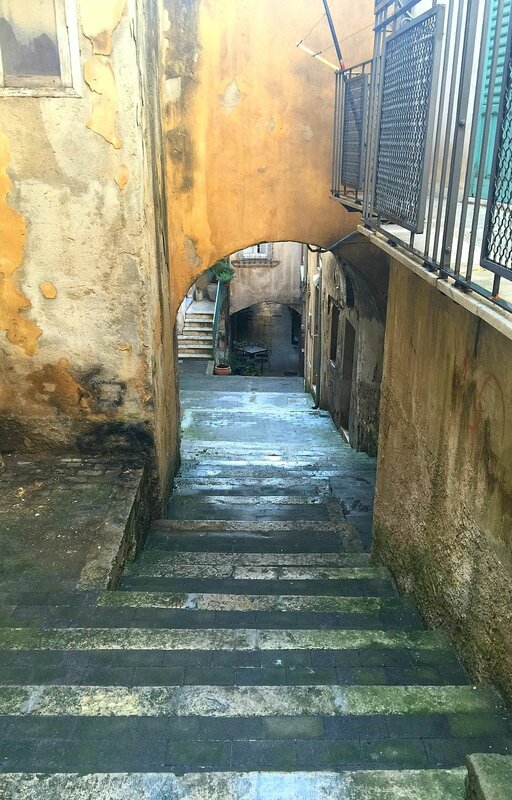 I bet they get to eat all the gorgeous Sicilian food they want with all the calories they burn climbing those stairs. My children are one eighth Sicilian. They should definitely go and visit. It would be nice to have a Sicilian connection Pinky. Maybe they have a Mafia great granny tucked away somewhere! 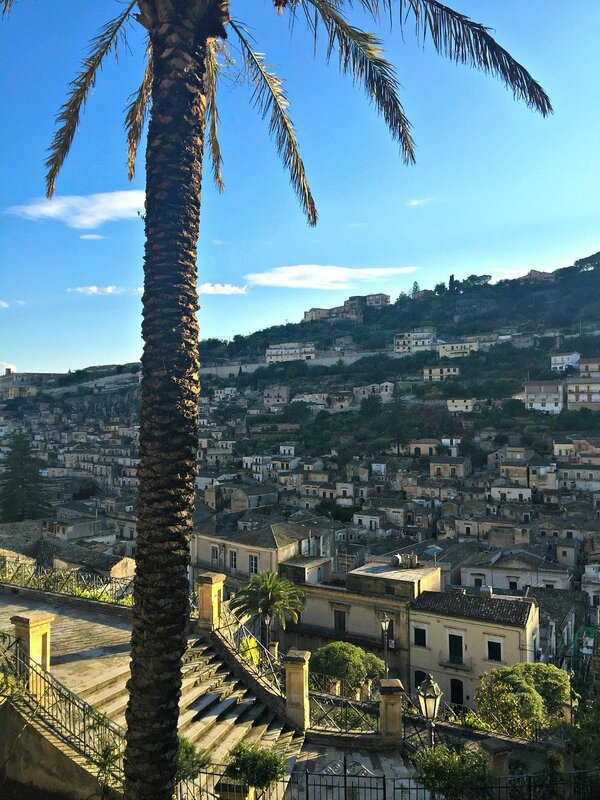 We haven’t been to Sicily, but it is on our bucket list! 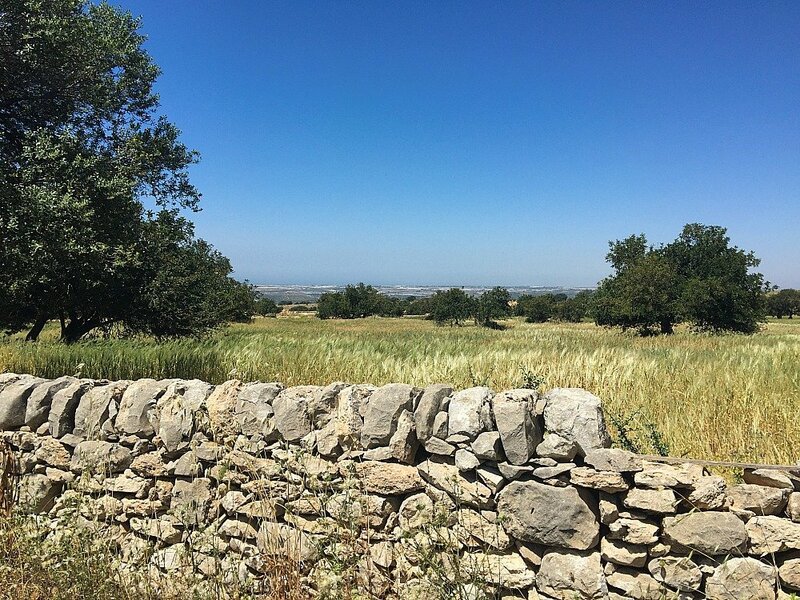 Your photos and the bucolic scenery and ancient architecture make me want to hot foot over there immediately. 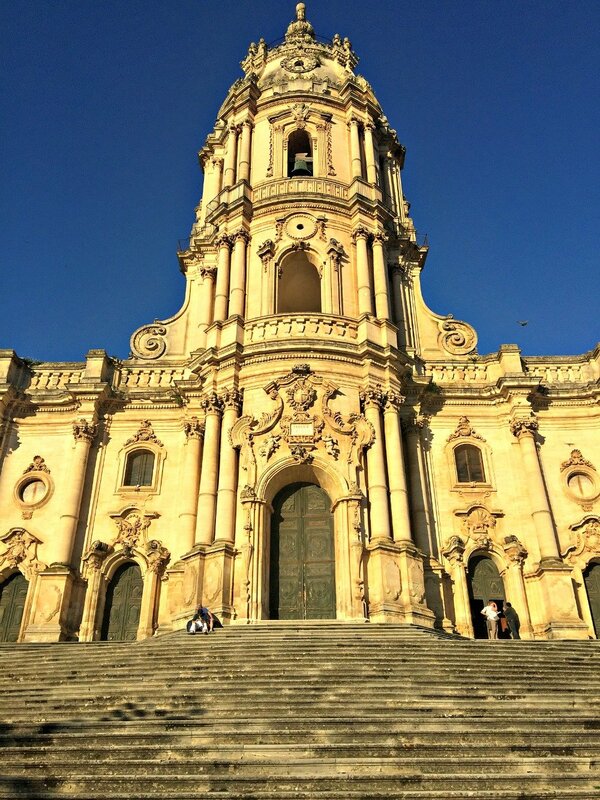 Gorgeous Jan.
Sicily is very interesting Jo and never boring. The people come out at Passegiata time and stroll around the streets, eating gelato and looking good lol. 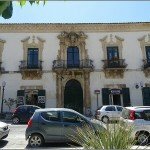 I will be sharing more photos of Sicily!